Sliding wardrobes offer the perfect solution to maximise storage in a smaller room where space is already at a premium. Installations can be customised to complement the aesthetic appeal of your home. A range of styles and colours are available that add an elegant finish to any room. Lifestyle Wardrobes offers quality storage solutions manufactured and installed to high standards. Individual requirements vary for every project. This is why we offer an extensive selection of wardrobe sliding doors in Perth that can be customised to any configuration. Whether you are looking for a specific colour scheme or mirrored doors for an attractive finish, we deliver complete solutions. Sliding doors offer easy access to your wardrobe without the need for protruding handles or hinged doors. Our selection includes matching frames and tracks to ensure smooth operation. The bottom track is also leveled to allow for the doors to glide effortlessly when opening and closing. Contact us today to schedule a free measure and quote. At Lifestyle Wardrobes, our specialty lies in manufacturing and installing customised storage solutions. Our professionals work with you at every step to turn your ideas into reality. From the initial designs to the final installations, you can expect exceptional services. Our products are manufactured to high quality standards and installed by our team of cabinet makers. We make absolutely no compromises on quality which is evident from our installations. These options combine to create a truly unique finish that can be adapted to any space. Because our products are custom made, this gives you a great deal of flexibility in selecting the perfect options that meet your requirements. With a broad range of styles available, we help you achieve a desired effect that maximises storage space while complementing the look of your home. If you prefer to do your own installation, we also offer DIY options. We schedule a free measure at a time that is convenient for you. The sliding doors are made to all custom configurations and ready to be installed once we deliver them. Be sure to view our sliding doors gallery for examples of previous installations we have done. 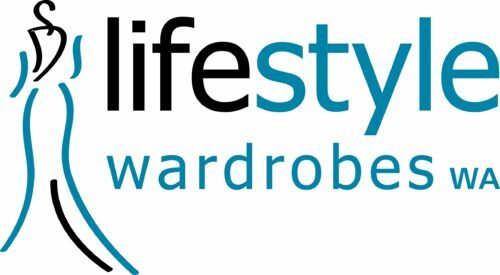 Lifestyle Wardrobes delivers quality solutions that maximise storage space without compromising on aesthetics. Our professionals work closely with you at each step from start to finish. Whether you have limited space to work with or have a specific style in mind, we can help. Call us today on 08 9200 4380 for a free measure and quote on our wardrobe sliding doors in Perth.